Body Armour – Paintball Equipment for the true Paintball Warrior. 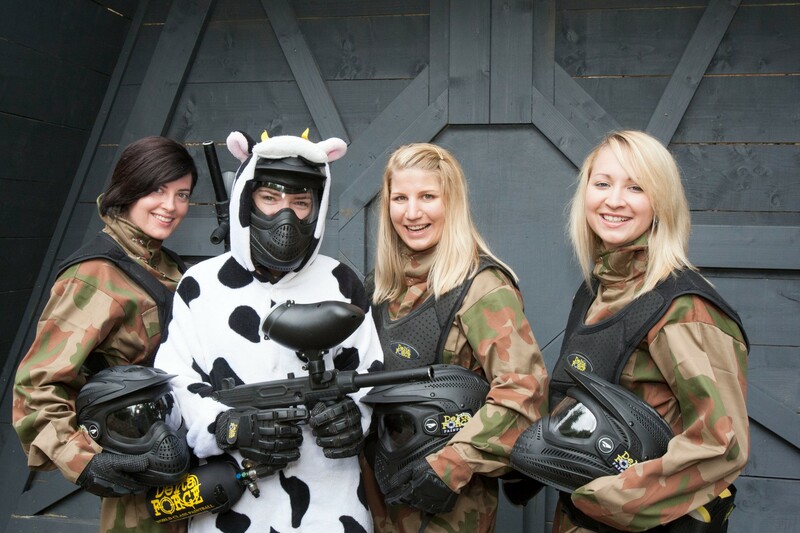 Paintball providers often only offer body armour to women, which is great as it helps protect the upper body from the impact of any paintballs. However at Delta Force Paintball, we want to provide everyone with protective equipment. Our body armour is available to all of our paintball warriors, at no extra cost. We want everyone to feel protected on the field. Custom designed body armour solves this problem. Our body armour will help you gain confidence on the field, allowing you to achieve victory without fear of rogue paintballs! The body armour is comprised of multiple memory foam plates contained within a flexible skin. The protective plates and flexible skin are completely ventilated, to avoid a build up of body heat. The armour has been designed to be easy to takeon and off- perfect for when you’re having lunch and want to cool down! Play paintball in custom-designed armour, that will allow for a free range of motion, and protection from any paintballs coming your way! Delta Force Paintball takes your safety seriously. We offer this armour free of charge to all of our patrons, no matter their gender. Delta Force Paintball believes that safety should come first, for every player. The armour is offered at the beginning of the day, at registration. However, if you decline the first time and find yourself needing it, feel free to ask one of our friendly Marshals, they’d be more than happy to get one for you! At Delta Force Paintball, we value your comfort and safety above everything else. That’s why we have designed and manufactured protective armour, and sourced real riot shields. If you want the highest quality paintball experience, choose Delta Force Paintball.